Bold, chic, fun and bright as sunshine! Sunflowers are cool to add rustic touch to your big day or your bridal shower whenever in spring, summer and autumn. Sunflowers are quite favorite among brides with sunny and cheerful yellow pastels, mostly used in a rustic wedding; sunflowers suitably match with other flowers and greenery which makes them good natural wedding decorations. 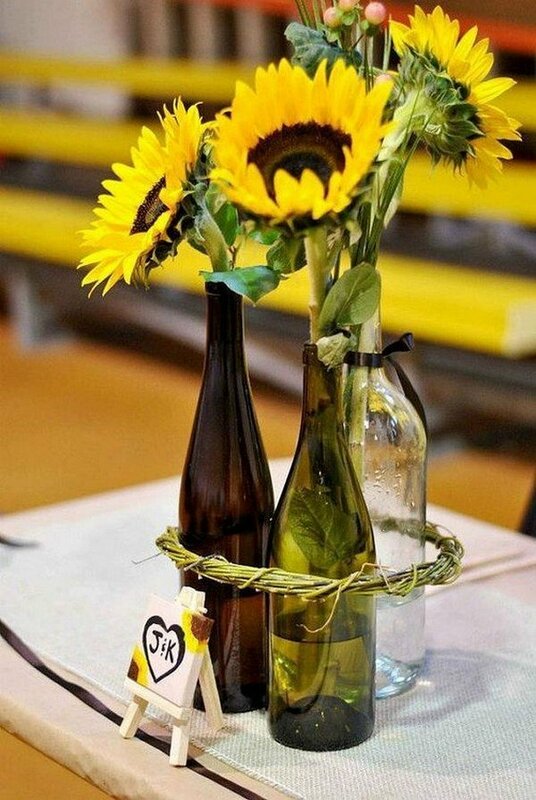 Here’re I’ve rounded up these brilliant sunflower themed wedding centerpieces.